Brrrr…..the weather has changed again and it's cold here in Maine. Cold temps in Maine in December is completely normal. But last week we had temps in the 40s and I was feeling rather spoiled! This week we're back to 20's and snow. Not a lot of snow. But snow. Some say we're going to have one heck of a winter, others say it's going to be mild. I guess only time will tell. On a positive note, Ward and like to challenge ourselves every year with how long we can go without turning on the oil furnace. We do have a wood stove in the kitchen, so it's not like we're going without heat. However, Ward and I did make a little $30 purchase this fall and it's made a HUGE difference. 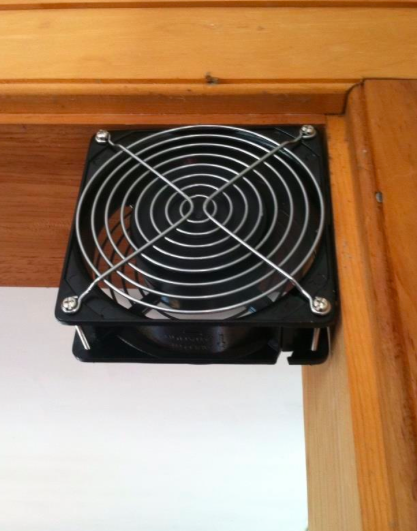 It's just a little fan I bought on Amazon. We put it in the doorway from the kitchen to the rest of the house. So far - we're at December 10th and still going strong with the wood stove. Our previous record was December 1st! 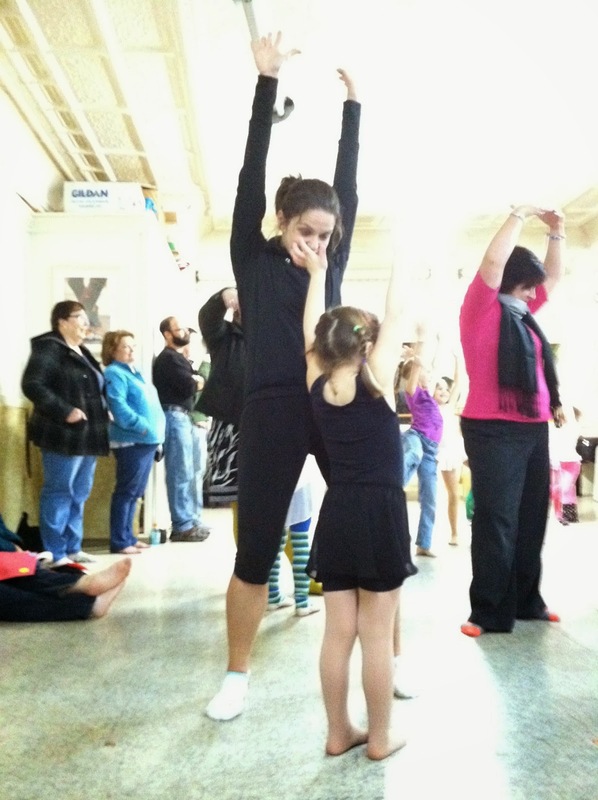 Izzy has been going to dance class one time a week since September. 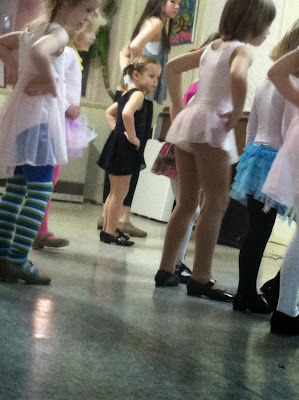 I credit dance for giving this super shy little girl so much confidence. When dance starts, she grabs her bag from me and runs into the studio without hesitation. When she's not at dance, she's twirling around and showing me moves. I love it! And she loves it too! A few weeks ago, I was actually able to join Izzy for a part of her dance class for the free dance. SO. MUCH. FUN! Her recital is next month and I couldn't be prouder. I'm so nervous for her and I hope she doesn't freeze in front of everyone. However, they've done a few small "parent' performances and she's be great. Shoes. Lately I've been rotating between my Mizuno Wave Rider 17, New Balance 890v3, and Reebok One Cushions. Each shoe is very different but all are pretty awesome. I won the New Balance shoes from Run Gia Run. They are light, have plenty of cushion and come in women's wide. And get this. The women's wide is actually wide enough for my oddly wide bunion feet. And a little update on the Rail Trail Run Shop Sneak Peek…. it was a success!!! In the 2.5 hours we were open, it was a complete whirl wind. People coming in, getting fitted, buying shoes, buying gloves, buying CWX tights. I'm beyond excited for Amy and this new opportunity. My question to you….what do you look for in a local running store? Right now we're focusing on women's shoes/clothing. What are your favorite brands? Why? How great the sneak peak was a hit! I love Nike, Zoot, Balega, yes to CWX! I am so disappointed in the RRS nearby. I've never even been greeted there. I was in the other day looking for a rumble roller item they advertised and was completely ignored. The woman at the register would rather put away hangers than wait on me. Yay for Izzy. That is awesome! I love that dance is giving your daughter confidence:) I look for people who actually know what they are talking about in a shoe store. I hate it when I ask questions and they don't know the answer or they tell me something I know is incorrect. How cute is Izzy?! Em wants to take dance this winter...I really think she just wants a tutu!! Honestly as long as my running store has my Saucony I'm good! Lol! I do love that they do workshops and group runs. Plus I want to feel comfortable when I go in there...like Cheers!